Hopefully you received the freshers pack we made for you to give you a brief overview of how to survive the first year of Dental school. There is lots of useful info about Dental school life, campus and the city of Liverpool. We have included everything we wanted to know when we were in first year, so we hope you find it useful! The LUDSS committee will be happy to try and answer any questions you have so please do not hesitate to stop us no matter how small the question! ​LUDSS would like to wish you a very warm welcome and say congratulations on achieving a place at the Liverpool Dental School! It has been a busy 2 years for you preparing for interviews and revising for exams, but well done on getting to the end, and now an exciting new chapter begins! We hope you are all looking forward to getting your teeth stuck into what will no doubt prove to be some of the best years of your life here in Liverpool! For those of you experiencing university for the first time, you're in for a real treat. Moving away from home for the first time can give you a chance to gain independence whilst experiencing and achieving things you never thought you could - for many, cooking their first meal away from home is an achievement in itself! As much as there are always things going on, starting life in a brand new city can be a really daunting task, and may take time to adapt to. However LUDSS, as well as the staff at the Dental school, are here to make this transition as quick and easy as possible, so you don't have to worry. Everybody is really approachable and always willing to help, so please do not hesitate to approach anybody for advice or support! By becoming a member of LUDSS you are not only making the most of all the opportunities we have to offer, but you are becoming part of the most close knit community at the University of Liverpool. In comparison to other courses, who have an intake of around 300 students a year, we only have around 300 students throughout the entire BDS course! This means that everybody knows each other and everybody is in it together. This make such a unique atmosphere at the Dental school, and when you compare your course with your new halls friends, you will soon realise this. The university experience itself is fantastic. It gives you a chance to meet new people from all over the country and the world, many of which will become friends for life. Moving in to halls is a great way to make new friends, so make sure to get chatting to everybody in your flat. Everybody who has moved away from home is in the same situation, so get stuck in and make the most of it! 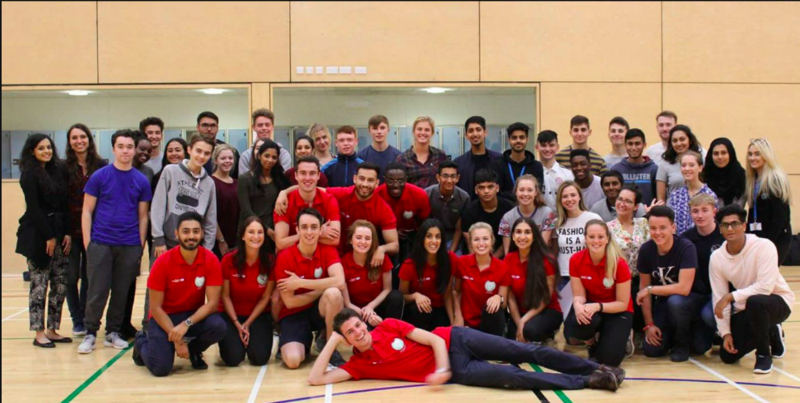 In first year you will have a lot more free time in comparison to what you will get in the older years, so please make the most of this free time, start a new sports club, or join a society! The best way to do this is to go along to the university freshers fair in September, where every club/society has a stall with information and sign up lists! Not only does the university have plenty to offer, but so does the City of Liverpool itself! It has loads of restaurants, bars and culture to explore to get out there as soon as possible!